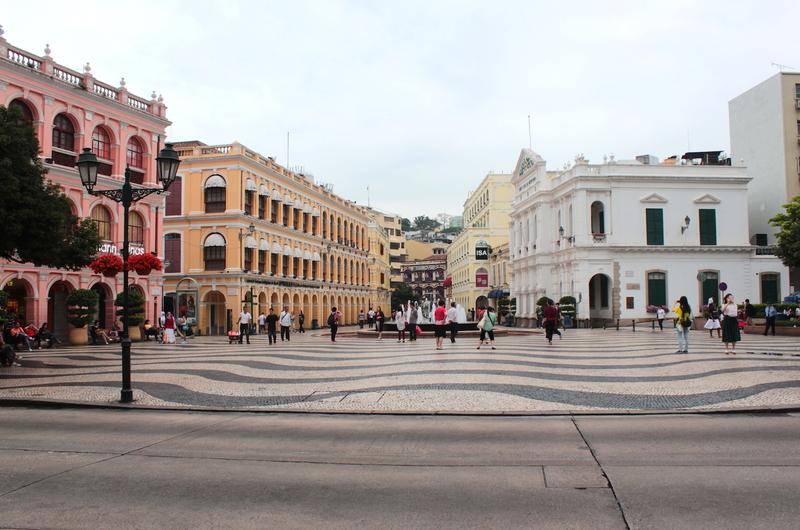 Senado Square is the heart of historic Macau. 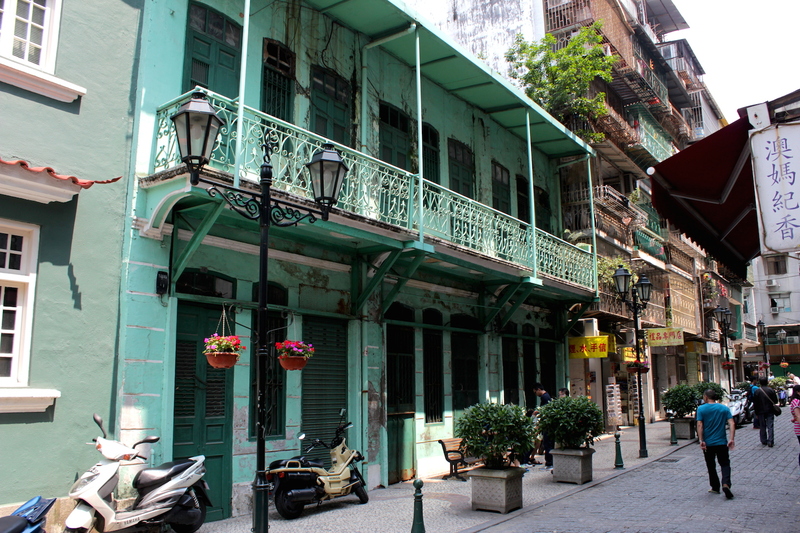 Despite rampant development, and one of the smallest land areas of any sovereign state in the world, Macau has managed to preserve a significant amount of its built heritage. 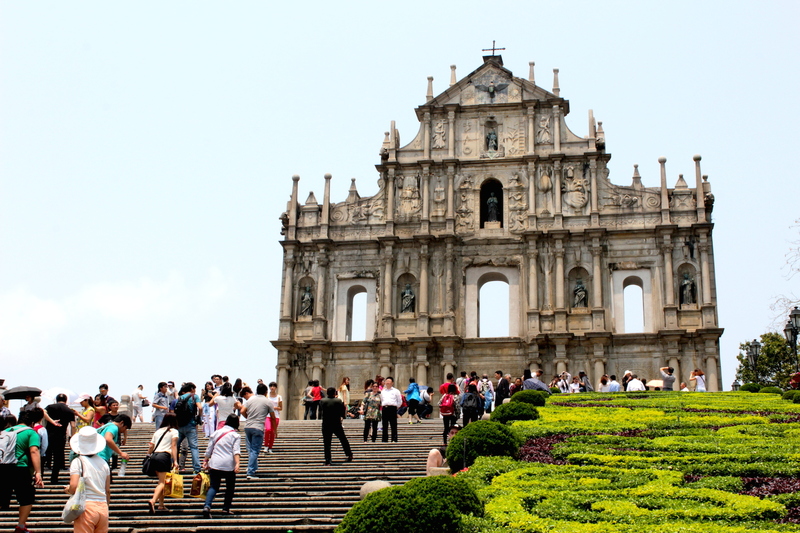 The city – particularly the Macau Peninsula – oozes history and character. A walk down the Peninsula’s narrow and maze-like streets and alleys will take you back to 16th century Portugal; even the towering modern apartment blocks that stand on either side of the narrow street and rise so high and claustrophically as to almost block out the sunlight add to the mediaeval feel of the city. 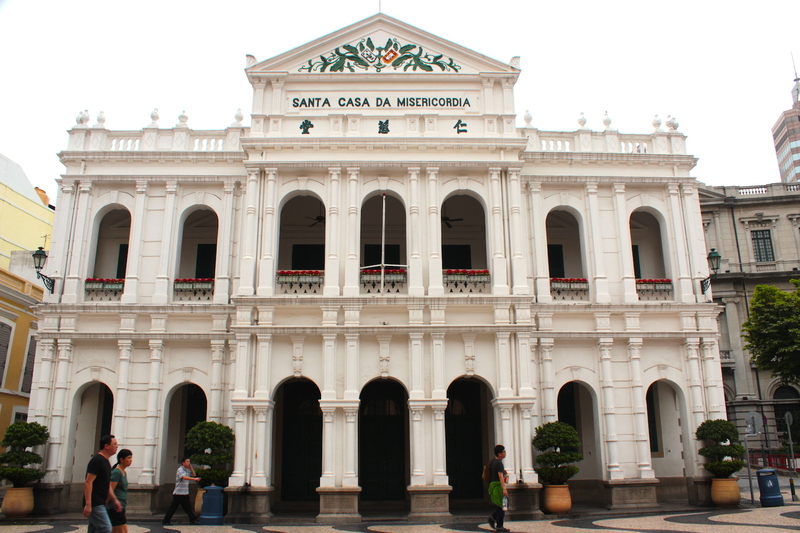 The entire Historic Centre of Macau, or Centro Histórico de Macau, was inscribed onto UNESCO’s World Heritage List in 2005. The listing consists of two CORE HERITAGE ZONES on the Peninsula, each surrounded by a buffer zone. 25 landmarks in the core zones are also designated as specific monuments of historic or cultural significance within the historic centre. 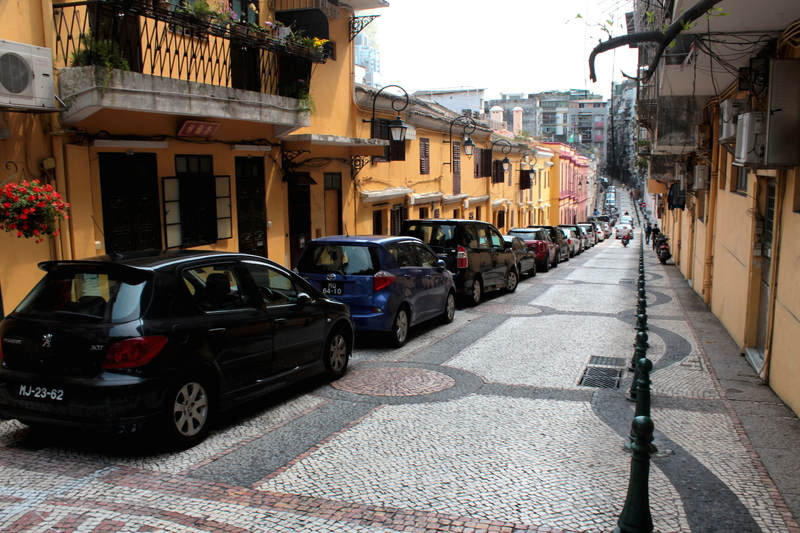 This walk through historic Macau takes the reader-viewer through both the core zones, and along the historic Avenida da Republica – Macau’s old harbour – which sits along the edge of a buffer zone. 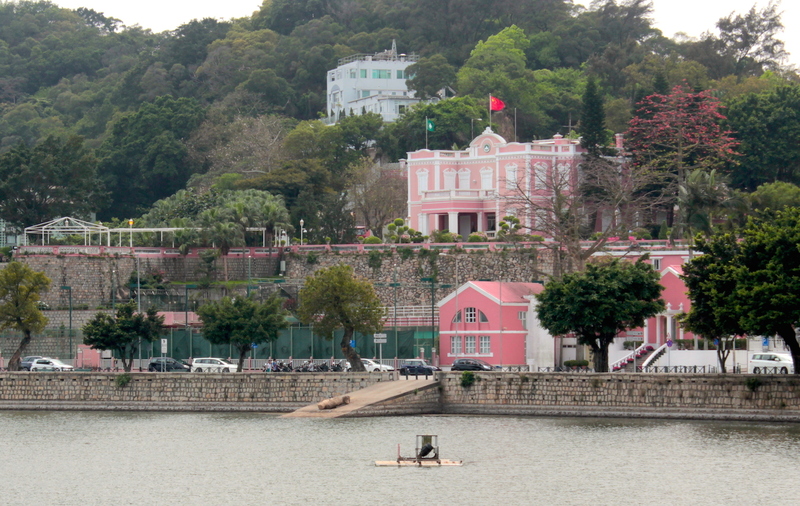 Core Zone 1 runs along the spine of the Macau Peninsula. 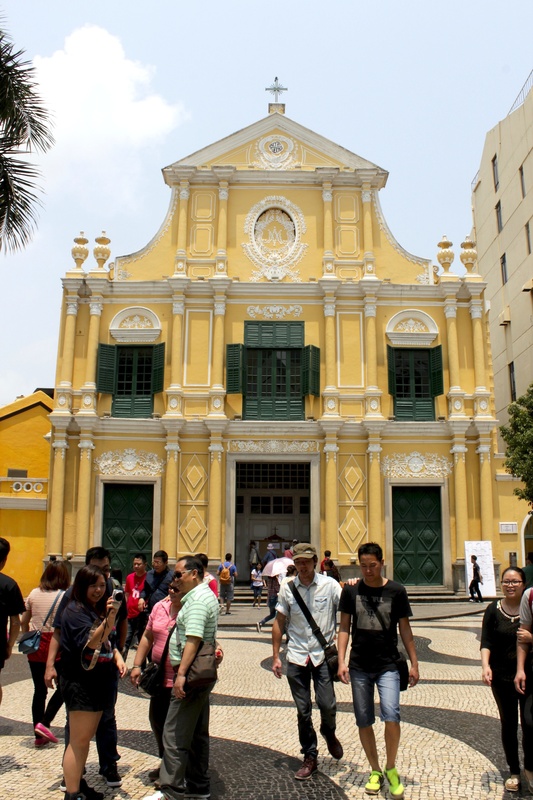 This was the heart of the old city itself – where for centuries, the Portuguese laid down their laws and transacted their business, alongside the thousands of Chinese that called Macau home. This zone contains 24 of the 25 sites of historic/cultural significance; and these are indicated as we go along. 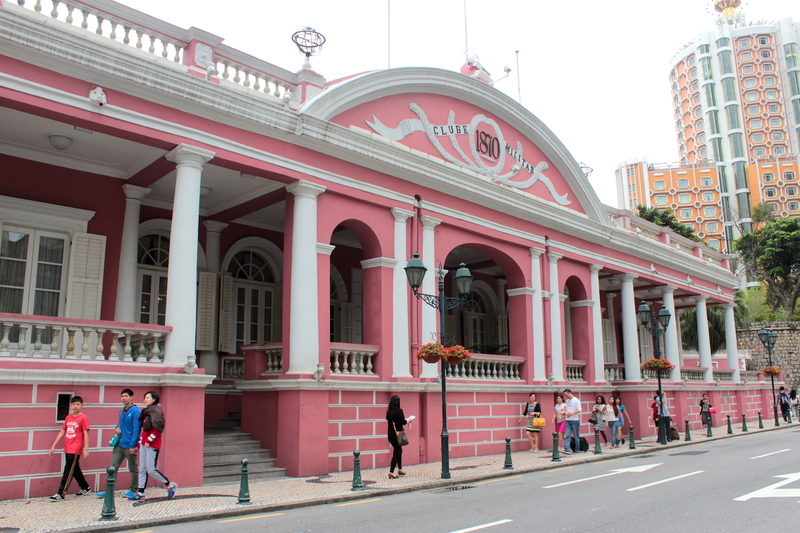 At Senado Square, we take a small detour down the Avenida de Almeida Ribeiro – then and now Macau’s foremost shopping street. The walk itself covers 2.5 km, and would take 2 hours to half a day, depending on how long one lingers at each site. This traditional Portuguese style shophouse residence with balconies stands along the Calçada da Barra near the A-Ma Temple. 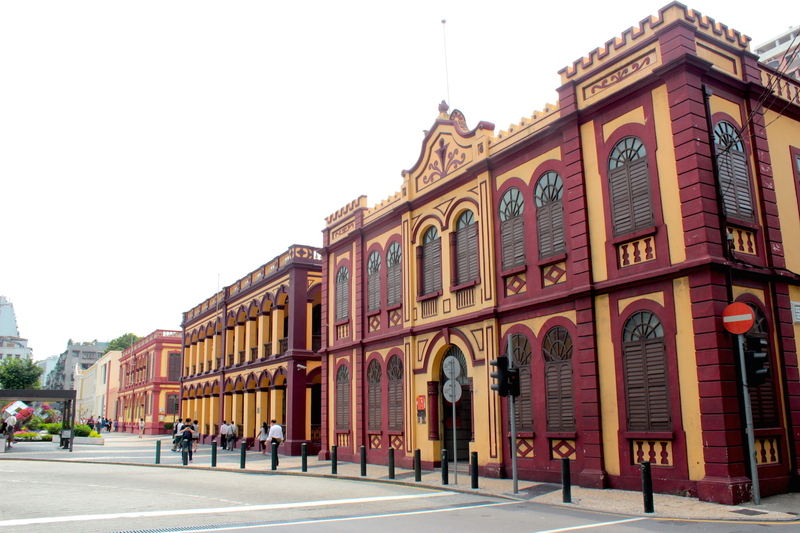 Residential facades along Senado Square. 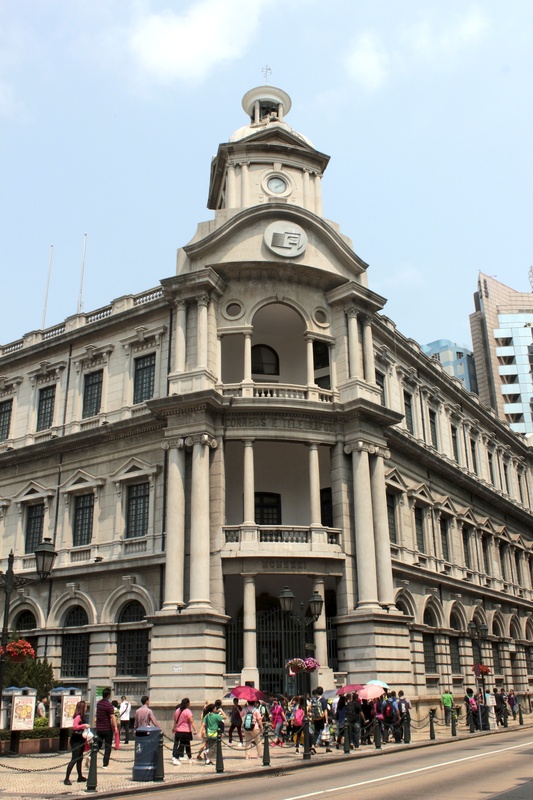 The General Post Office Building (1929). 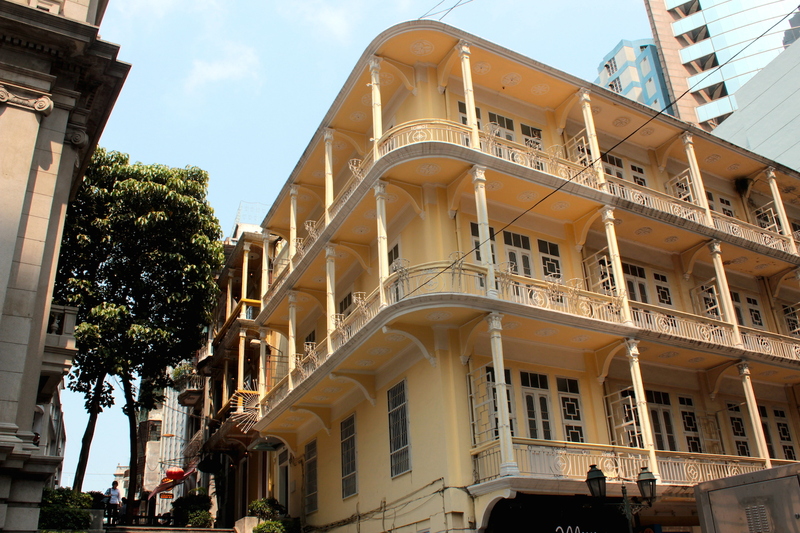 Elaborate commercial and residential facades along the Avenida de Almeida Ribeiro – the Champs-Elysees, Oxford Street or Orchard Road of Macau. 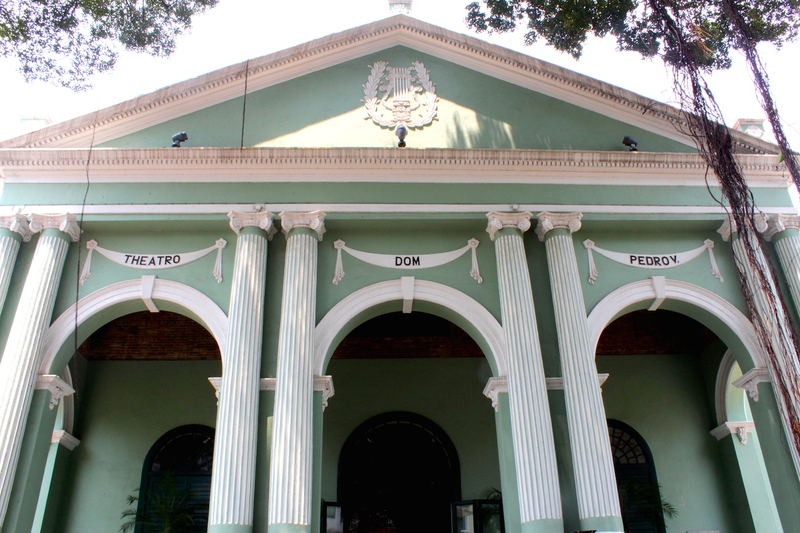 Elaborate facades along the Avenida de Almeida Ribeiro. 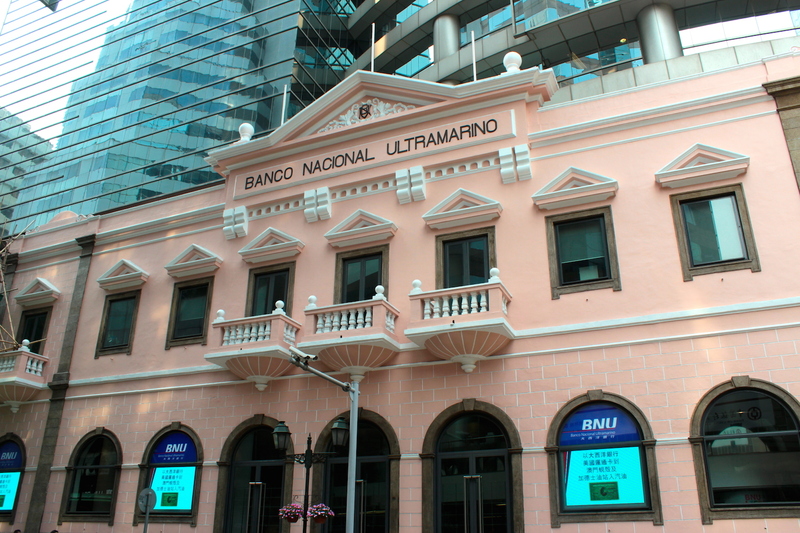 The Banco Nationale Ultramarino head office (built in the early 1900s) on Avenida da Almeida Ribeiro. Bust of Luís de Camões (1524 – 1580), the famous Portuguese Poet who wrote the epic Os Lusiadas. He is purported to have lived in this grotto with his local wife in 1557. 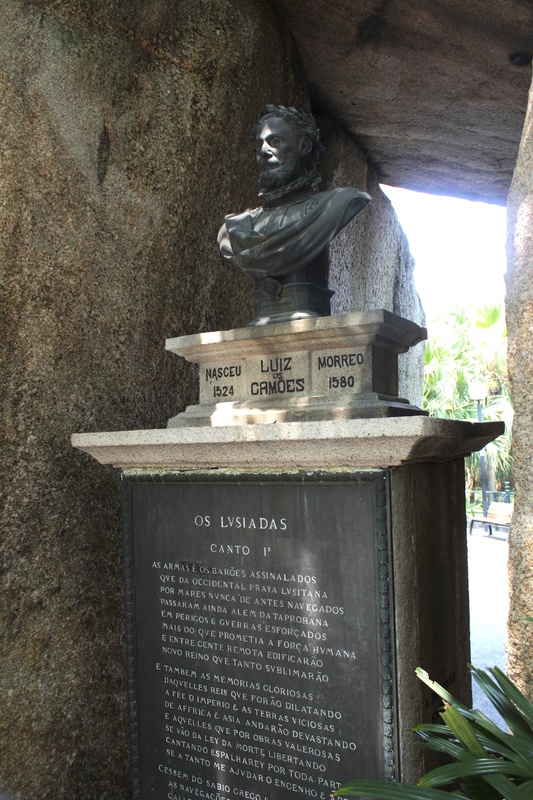 The bust stands in Camoes Garden. 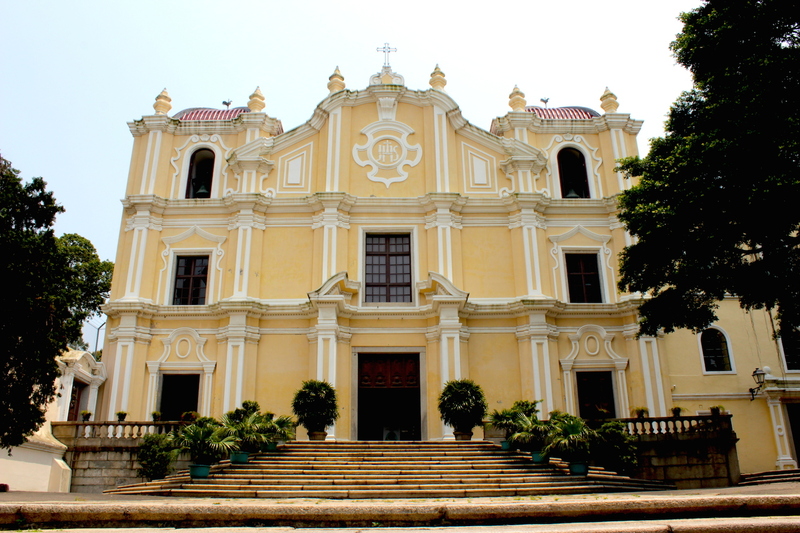 Core Zone II sits to the right of the the Macau Peninsula and consists of the historic Guia Hill and surrounding squares and parishes. 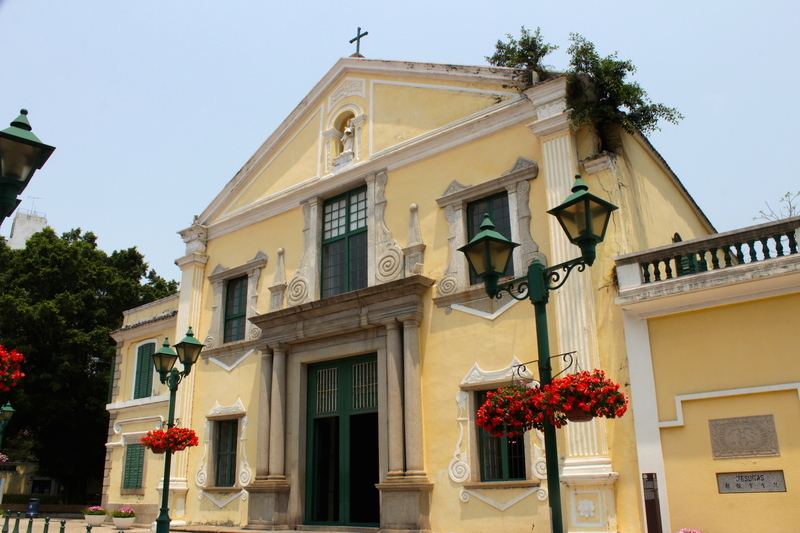 Besides the hill itself, significant historic areas include St Francis Garden, the oldest garden in Macau; Tap Seac Square and the Avenida Conselheiro Ferreiro da Almeida, with its magnificent Portuguese civic buildings and residences; and the St Lazarus Parish, formerly a leper colony that became a parish for Chinese converts to Christianity. Secreted amidst this all is the famous Lou Lim Leoc Gardens, which was built by a local Chinese magnate in a Suzhou style. The walk itself covers around 2.5 km again, up and down a hill. It would take a minimum of 2 hours to a half-day to complete. 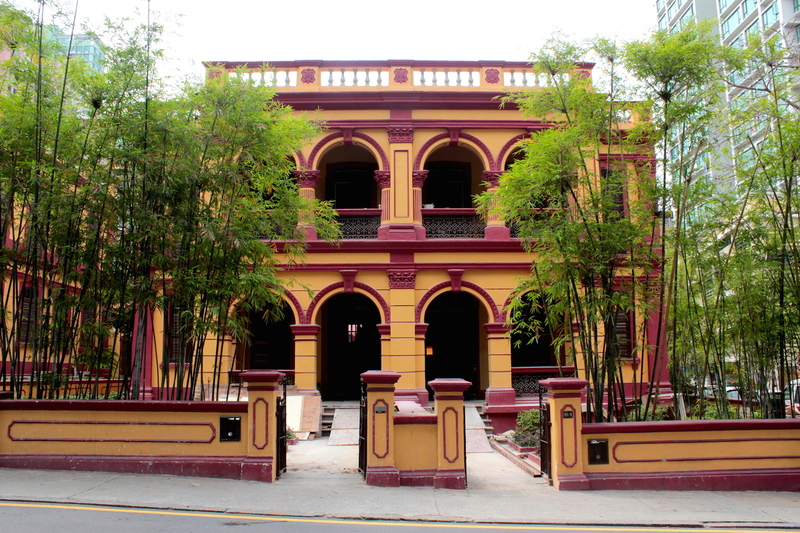 The Clube Militar (1870), today a charming restaurant serving Macanese and Portuguese food. 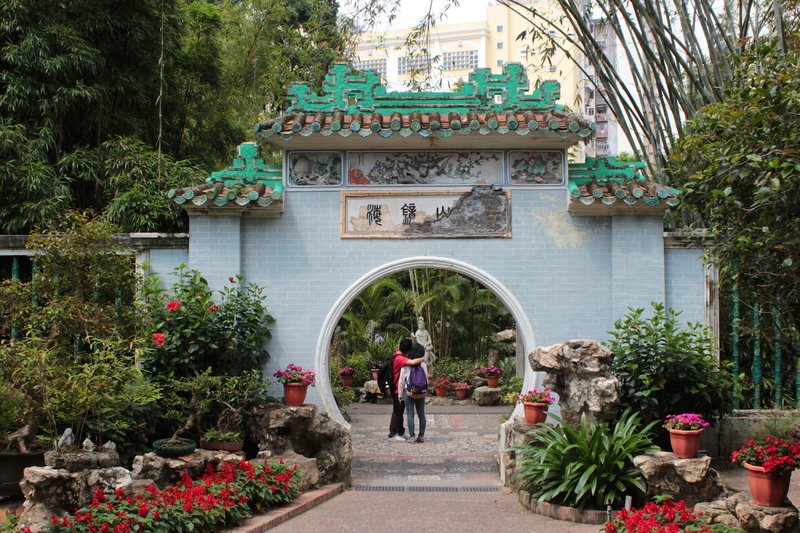 The St Francisco Garden (1580) is the oldest garden in Macau. Most of it has been demolished, except for this delightful fountain. 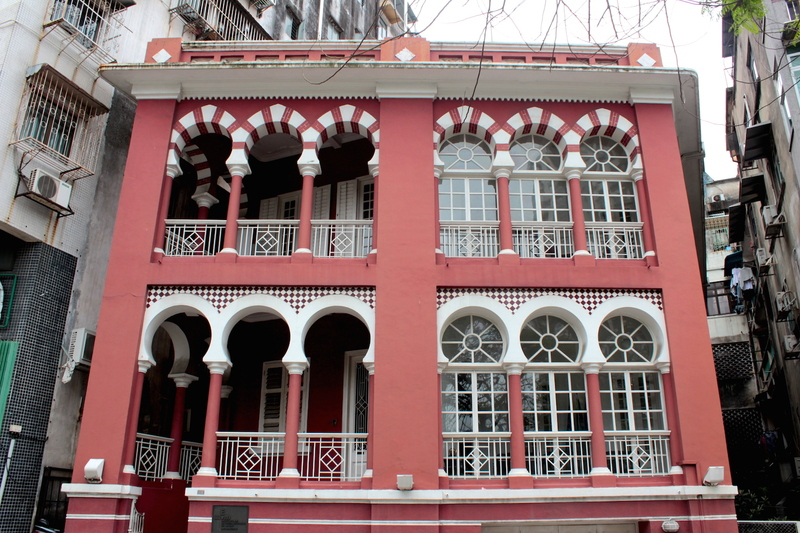 A Moorish Building stands near the Vasco da Gama Park. 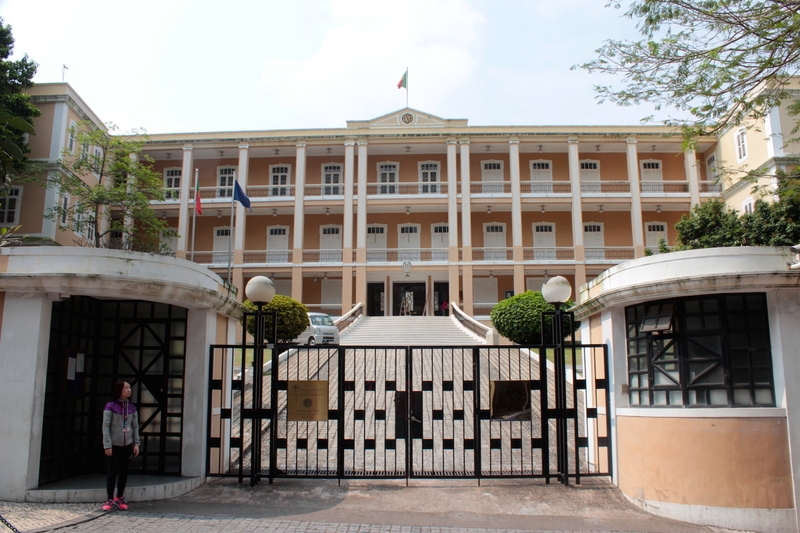 The Former Residence of Silva Mendes today houses the United Nations University International Institute of Software Technology. 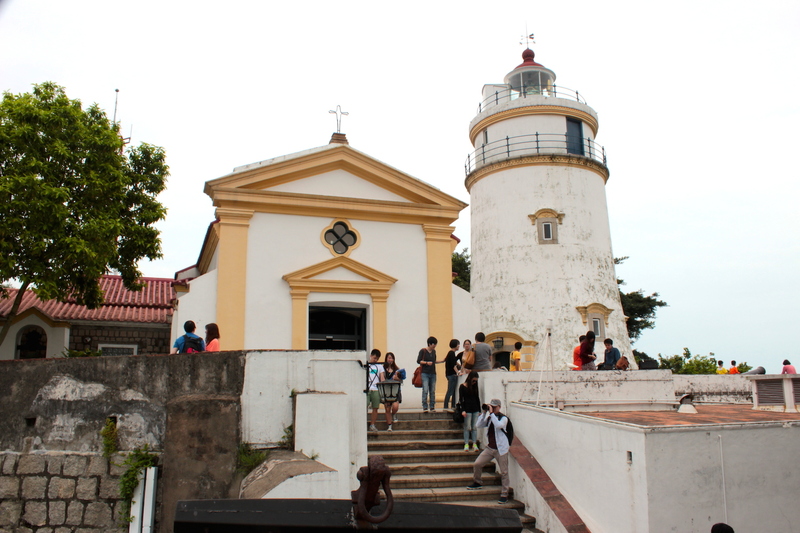 The Guia Lighthouse (1864) and the Chapel of Our Lady of Guia (1626). 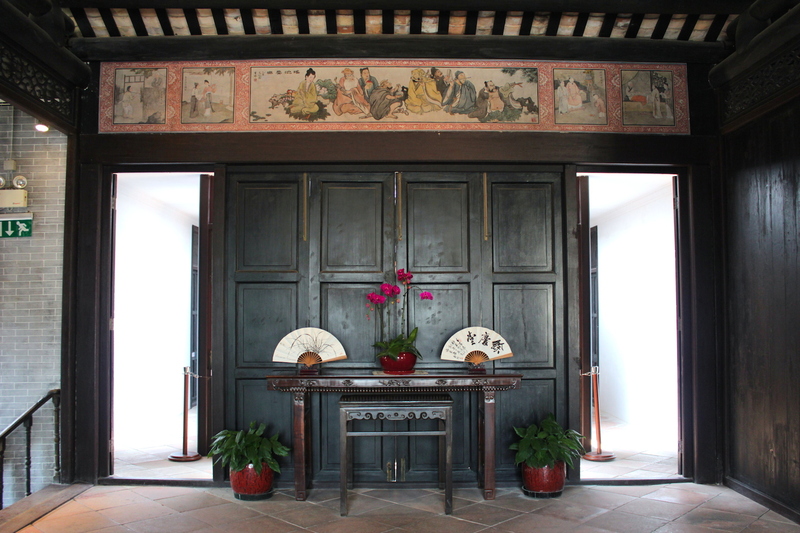 The chapel contains murals painted in the 1600s. 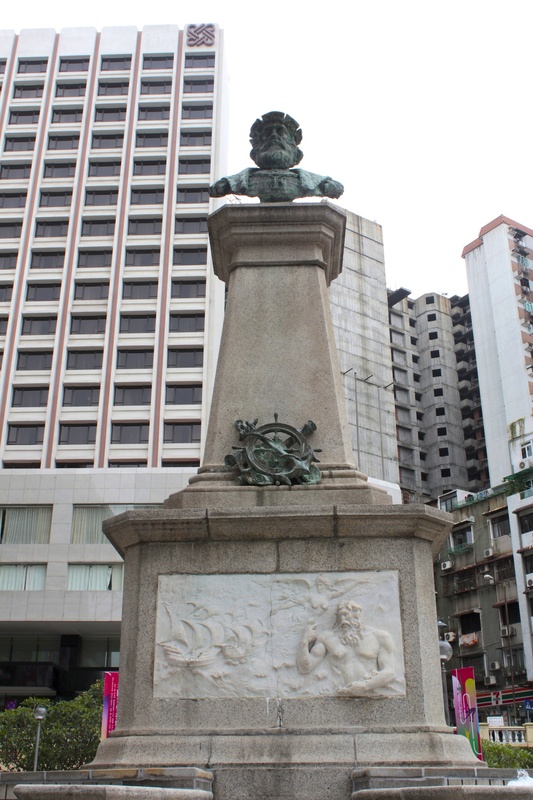 Monument to Vasco da Gama, in the garden that bears his name. 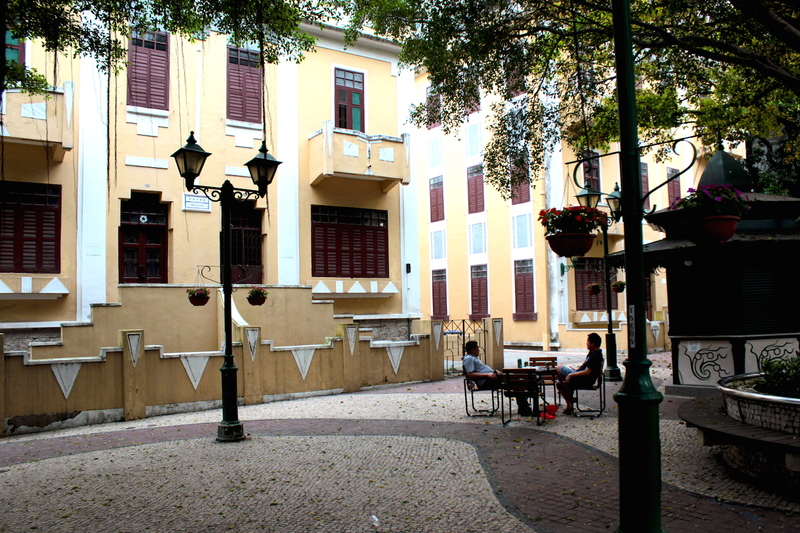 Tap Seac Square houses a spectacular row of neoclassical buildings built in the early 20th century. 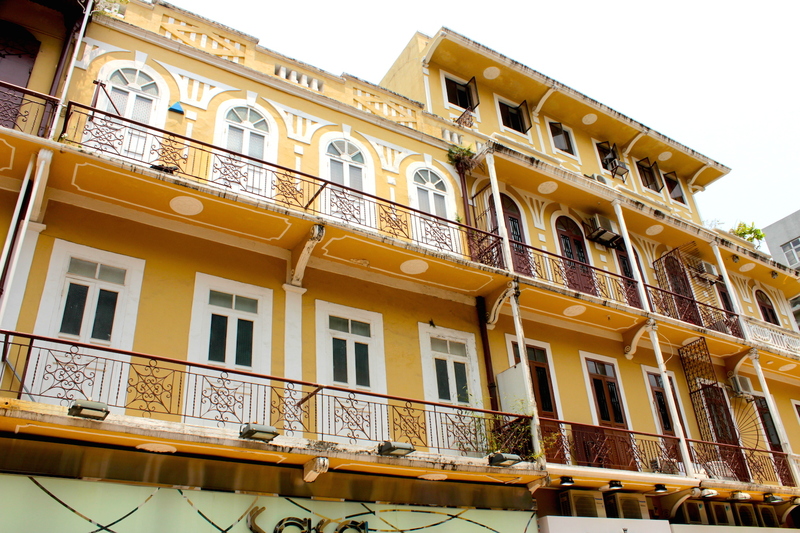 The Avenida Conselheiro Ferreira de Almeida contains a row of most representative colonial-style residential villas, built in the early 20th century. 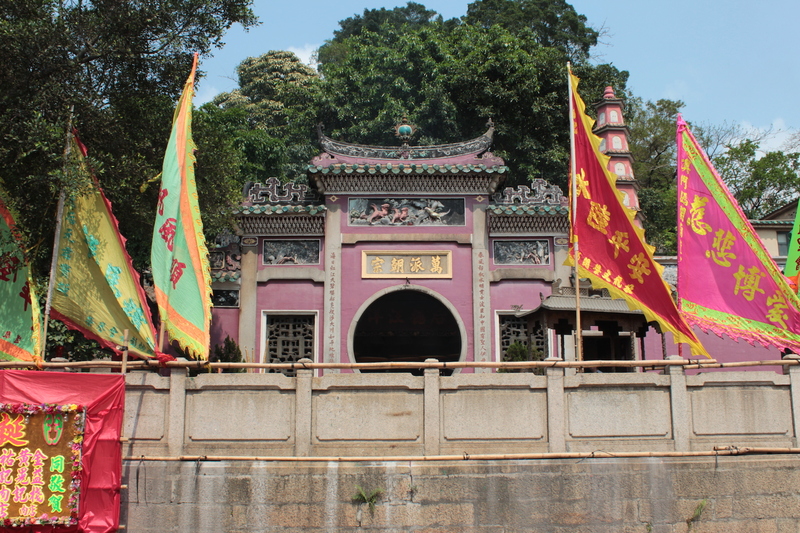 The Jardim de Lou Lim Leoc is a Suzhou style garden built in 1870 by a Chinese magnate, Lou Lim Leoc. Chapel and Cemetery of St Michael the Archangel (1875) has beautiful baroque tombstones. 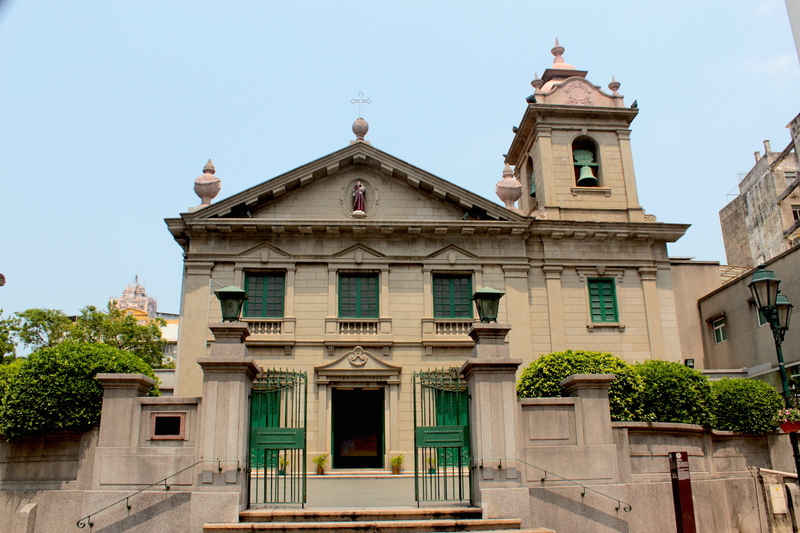 St Lazarus Church was established in 1569. this building was erected in 1886. This was where the leper (i.e. 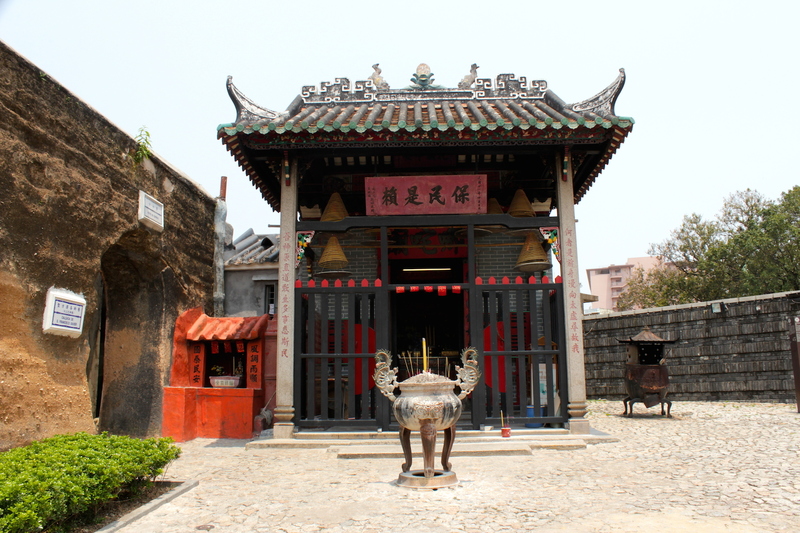 “lazarus”) colony was situated in Macau in mediaeval times. 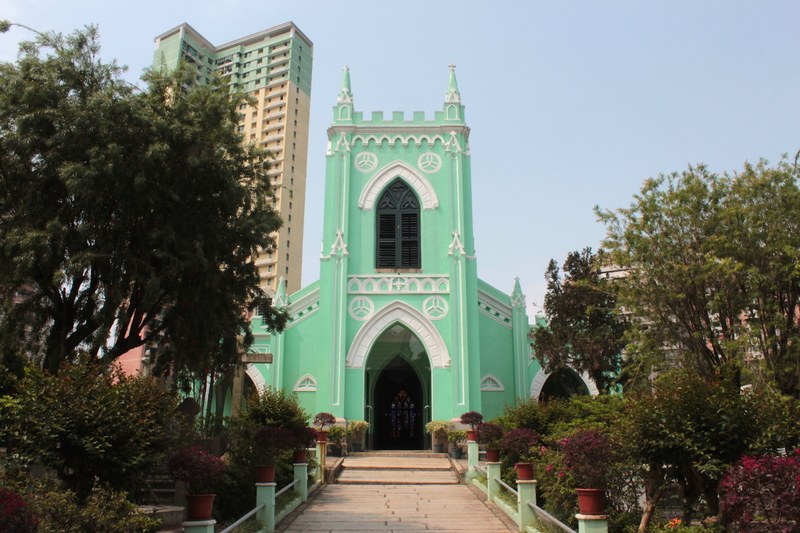 Subsequently, it became the church for Chinese converts. 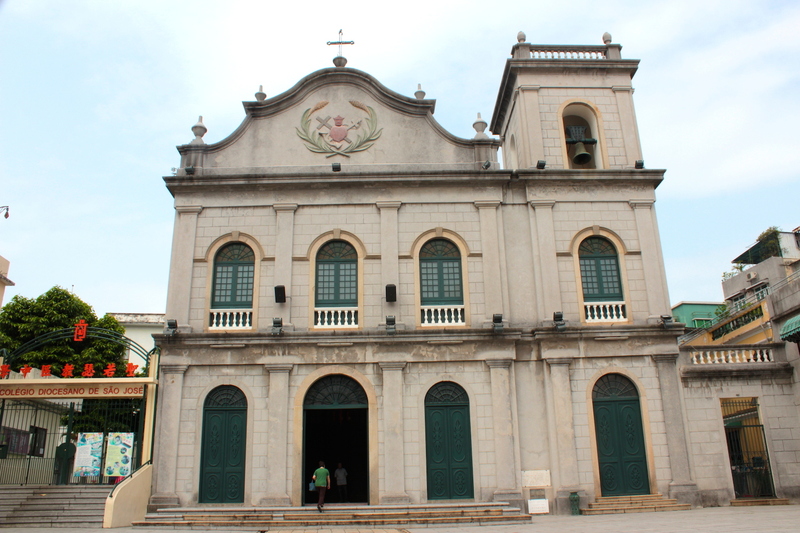 A spectacular edifice standing in the St Lazarus parish area. 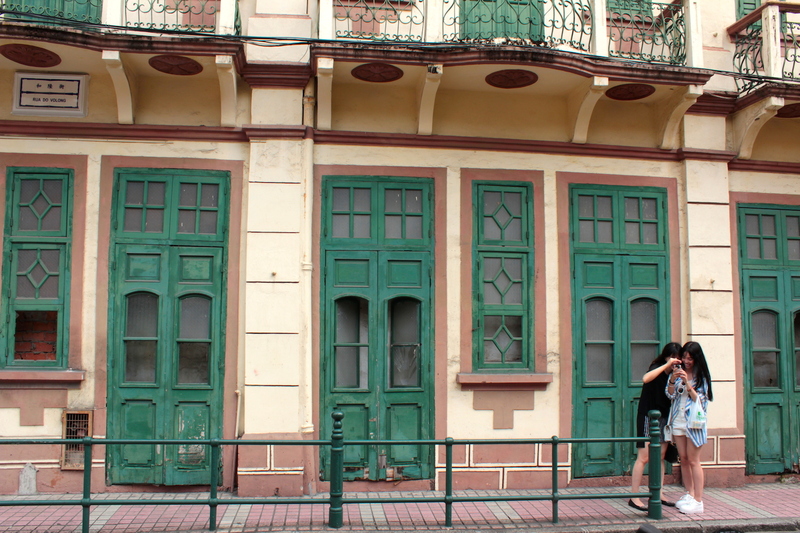 Beautiful old residences in the St Lazarus Parish area. Rus do Volong, in the St Lazarus Parish area. St Raphael’s Hospital was established in 1569. 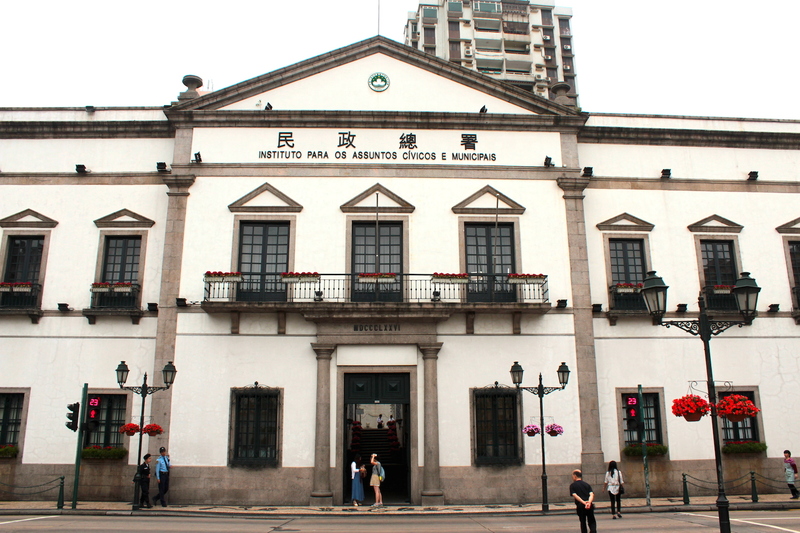 The present building was erected in 1939 and now houses the Portuguese Consulate. 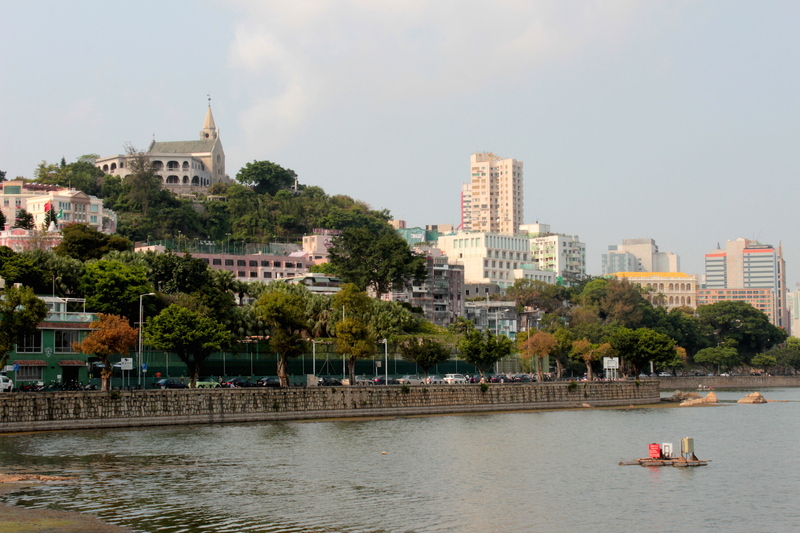 This final walk takes in Macau’s esplanade – the beautiful tree-lined Avenida da Republica, which used to front Macau’s old harbour but today, due to land reclamation, fronts the Sai Van Lake (West Harbour Lake). 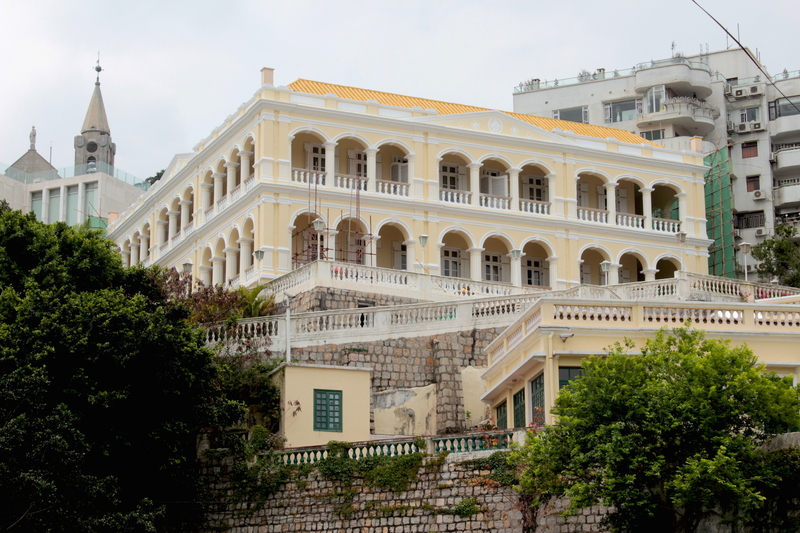 This is the equivalent of “The Peak” in Hong Kong – a wealthy residential area where the Portuguese erected some of there most ornate residential villas. 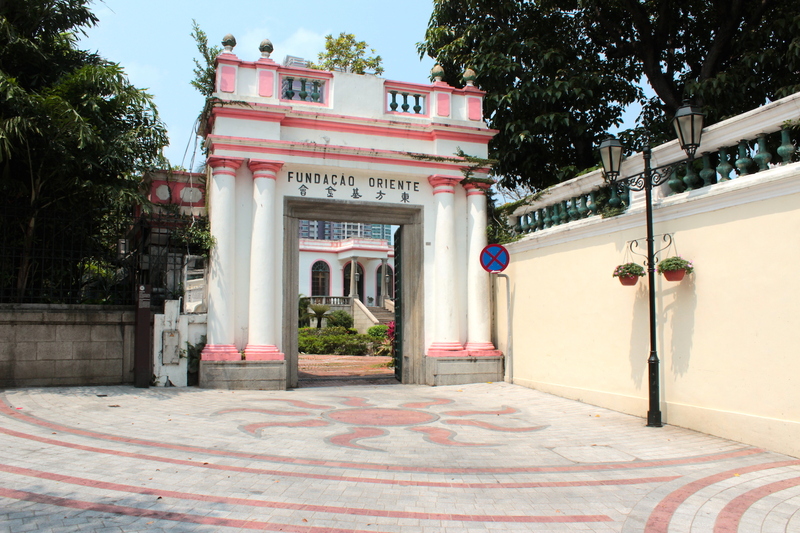 The walk starts just off the Avenida at the former Governor’s Palace, and takes one south towards the Fortaleza de São Tiago, at the very tip of the Macau Peninsula. It covers 1.6 km and is a pleasant 1.5 hr walk. 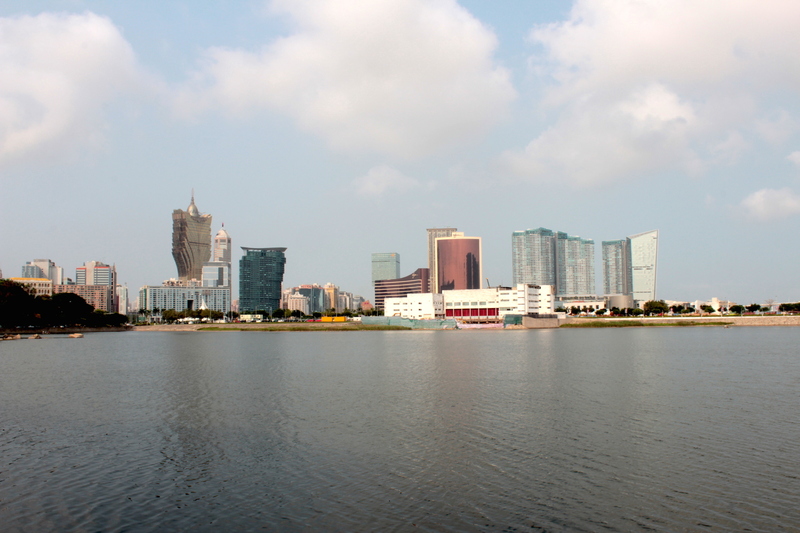 Along the way, there are also splendid views of the Macau Tower, and the Casino skyline, including Stanley Ho’s Grand Lisboa. 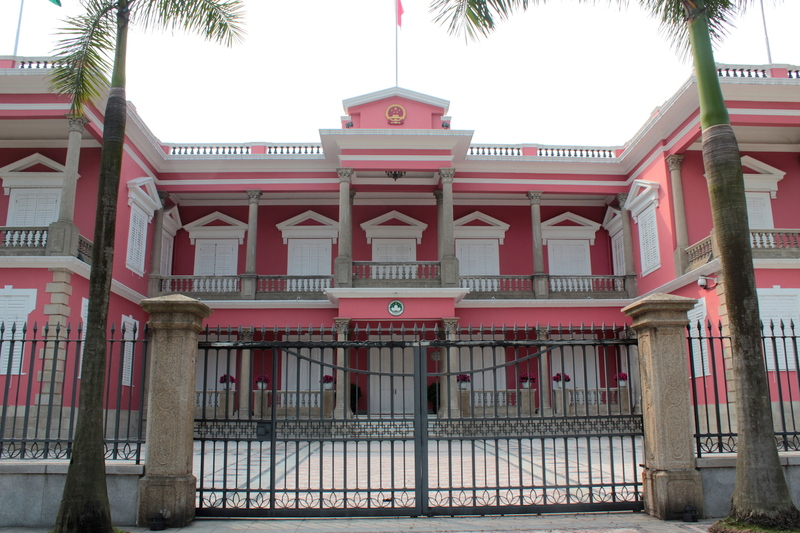 The former Governor’s Palace, built in 1849 in a Portuguese style and occupied till 1937, is presently the Headquarters of the Government of Macau SAR. 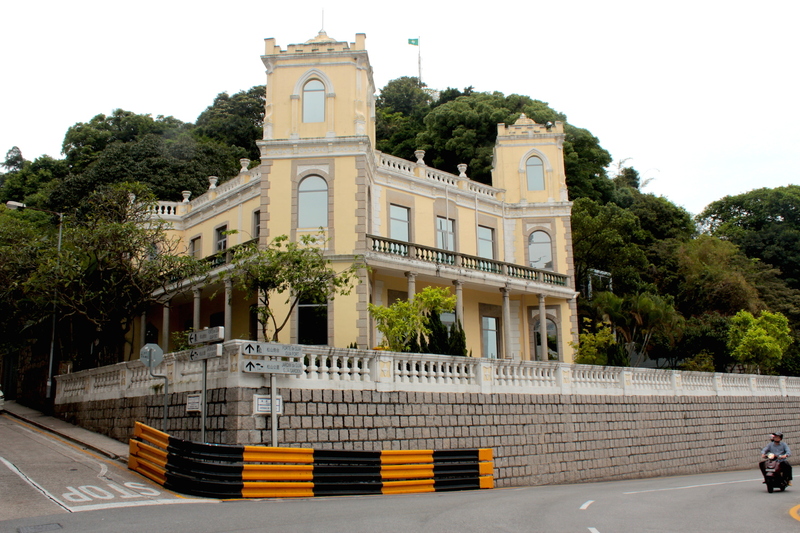 The former Bela Vista Hotel – Macau’s Grande Dame – is presently the residence of the Portuguese Consulate General. 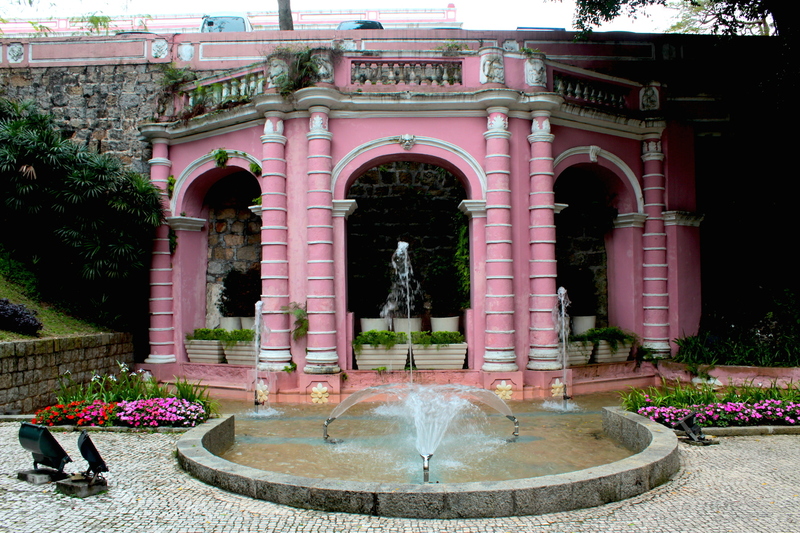 The Santa Sancha Palace (1846), was originally a private villa perched in the hills along the Avenida da Republica. 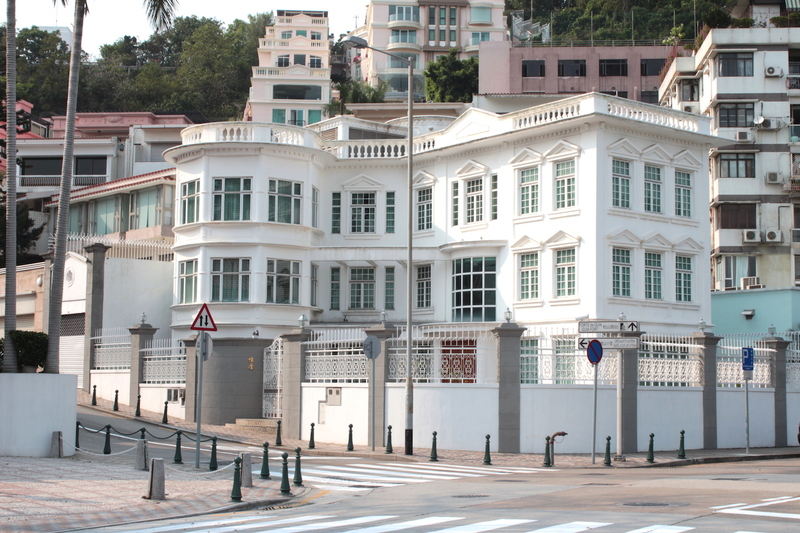 It eventually became the Governor’s official residence from 1937. Today it is a Government Guest House. 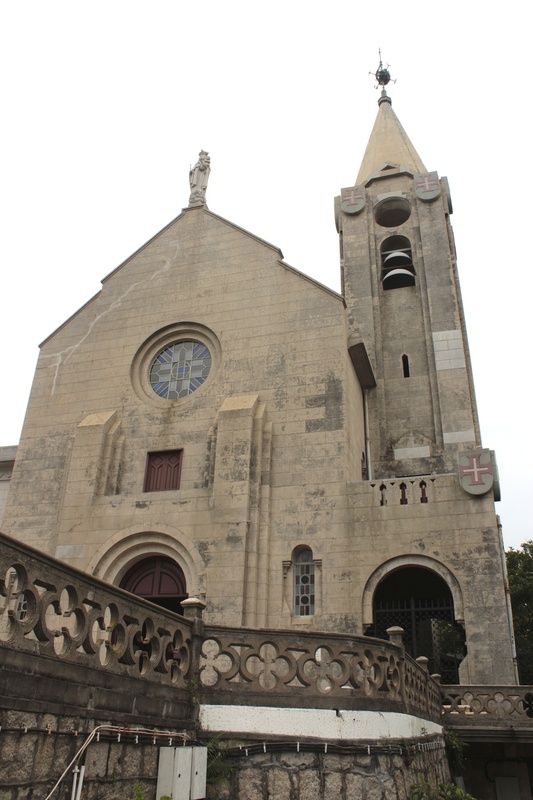 The Chapel of Our Lady of Penha is perched high on Penha Hill. 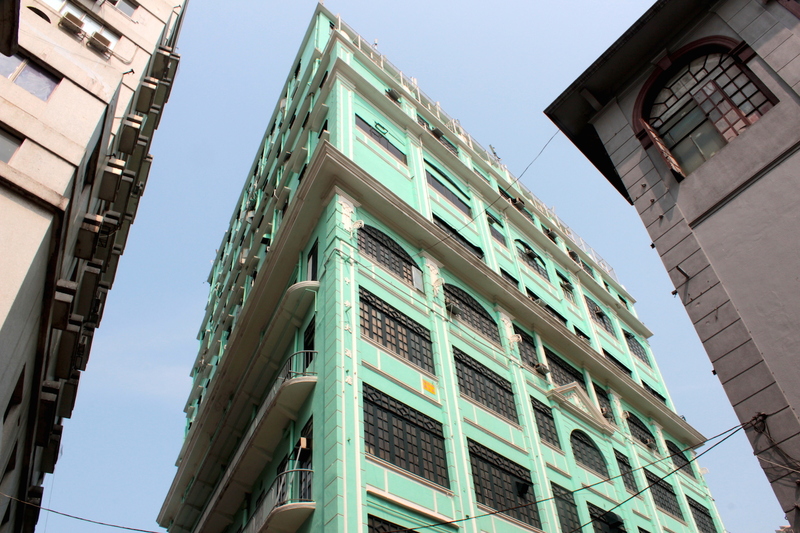 It originated in 1622, but the present building dates back to 1837. 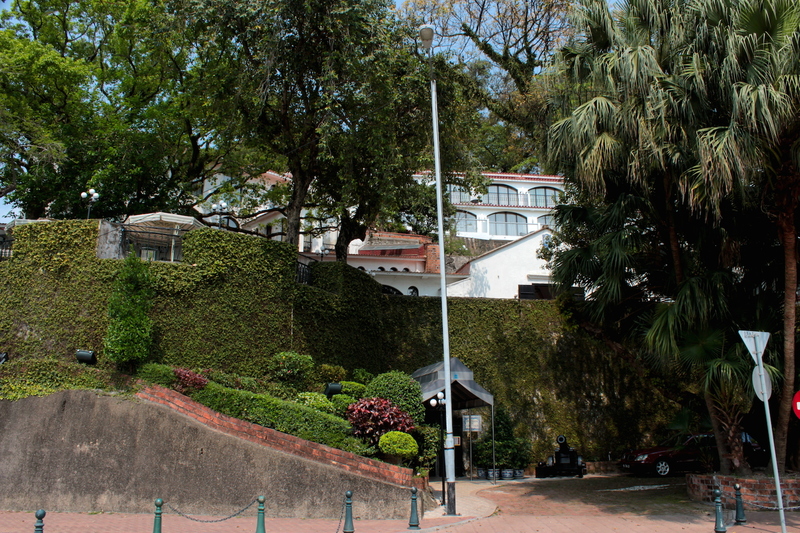 Avenida da Republica is home to a string of residential villas once occupied by the Portuguese, but today by wealthy Chinese and Macanese. 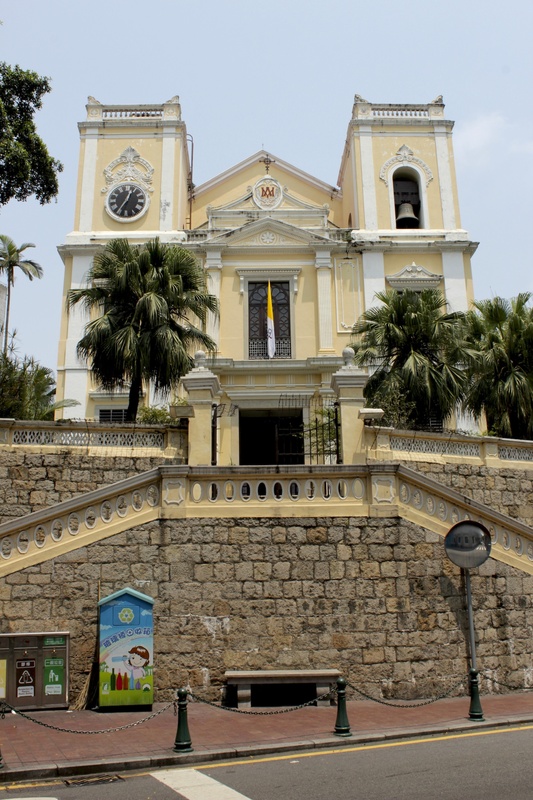 This one stands at the foot of Penha Hill. A bend in the road affords a spectacular view of Penha Hill and Penha Church (to the left) and the Bela Vista Hotel (to the right). Casino-land shimmers in the distance, with the Grand Lisboa to the left. 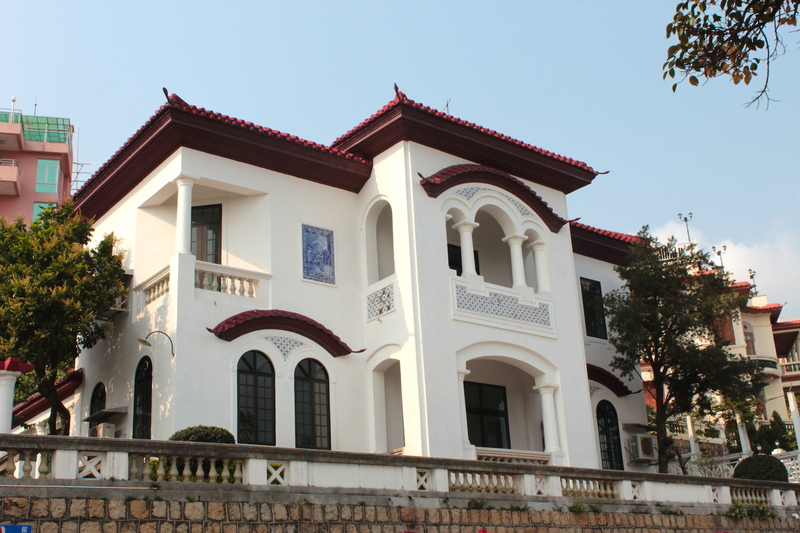 Example of an ornate residential villa with mixed Portuguese and Chinese architectural styles. 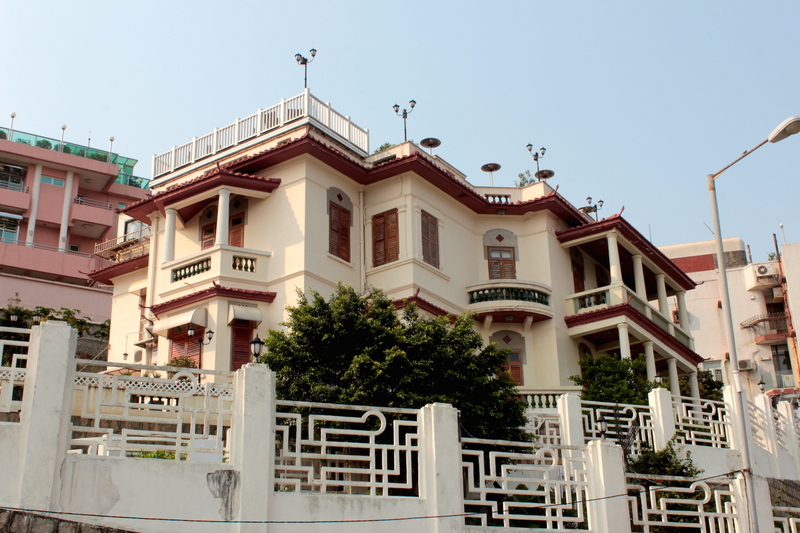 Just next door is another example of an East-West style villa. 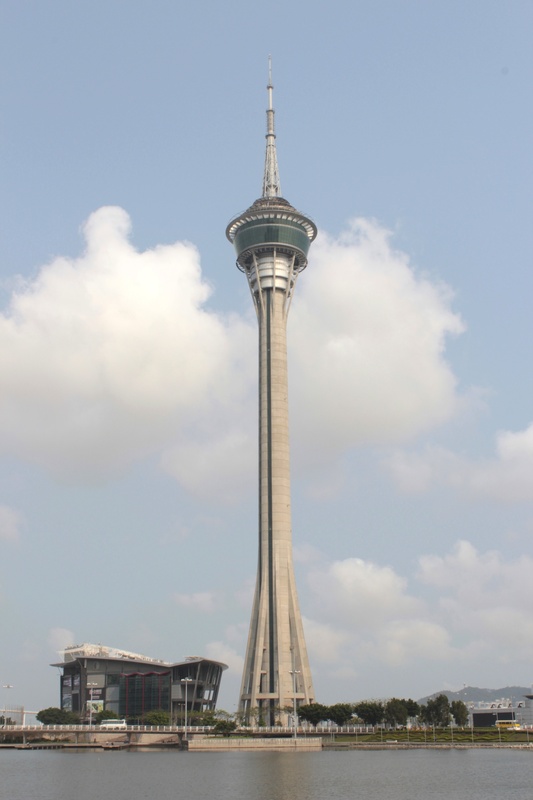 The Avenida da Republica esplanade affords splendid views of Macau Tower. 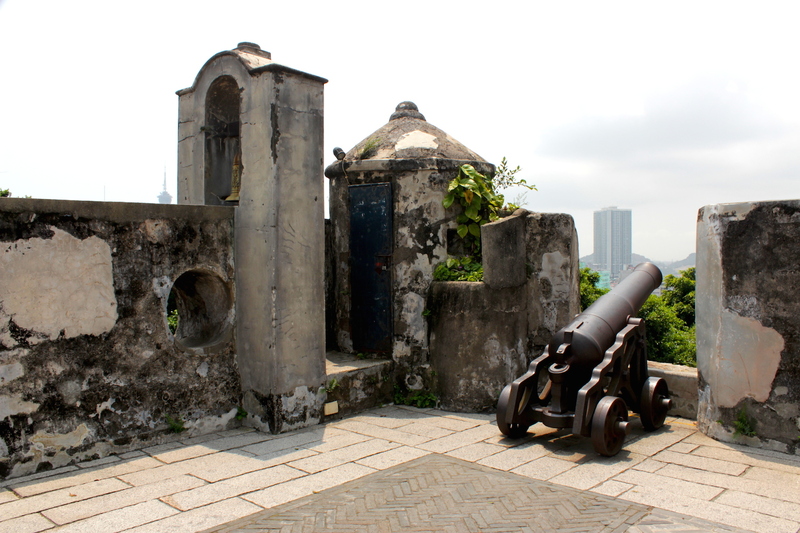 Finally, at the southern tip of the Avenida da Republica, and of the Macau Peninsula itself, is the former Fortaleza de São Tiago da Barra, built in the 1600s to defend Macau. 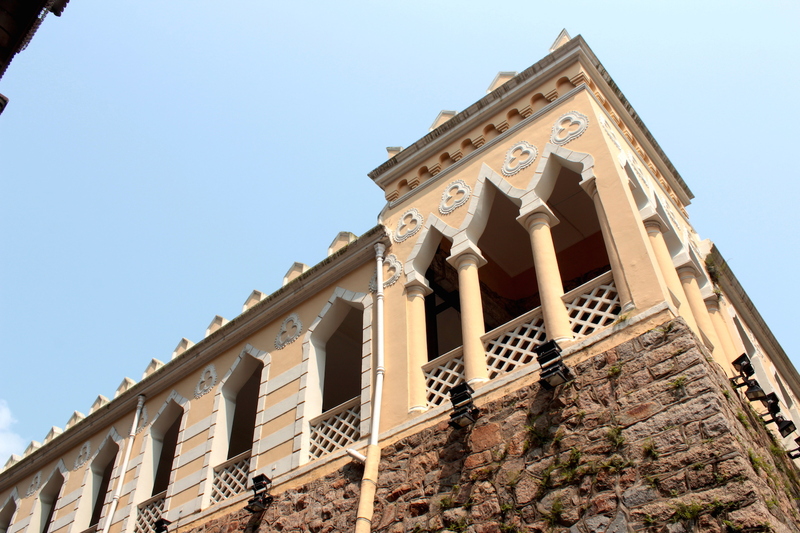 It has been transformed into the exquisite Pousada de São Tiago, where I resided during my stay in Macau. 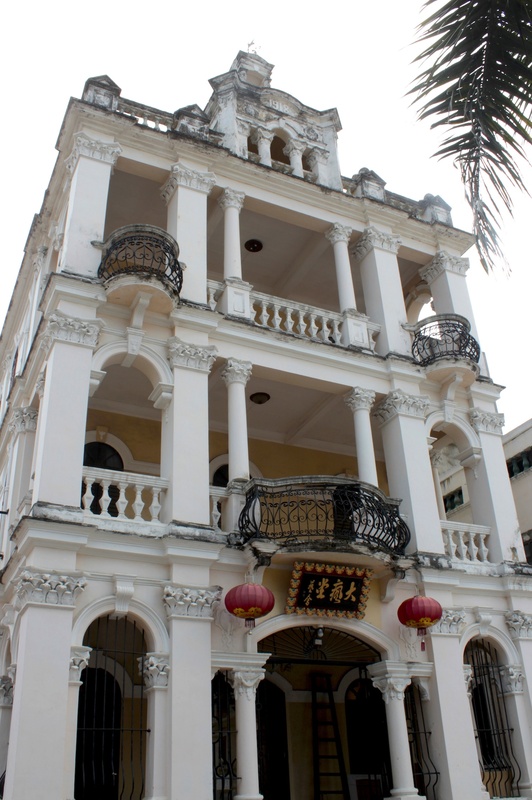 For more information on Macau’s Cultural Heritage and sample Heritage Walks, please visit the excellent www.macauheritage.net. Gallery | This entry was posted in Art & Architecture, China, Cities & Regions, Culture & Lifestyle, Landmarks & History, Photography, Sociology & Urban Studies, Travel & Mobility and tagged Centro Histórico de Macau, China, Historic Centre of Macau, Macao, Macau, The Grand Tour, The Grand Tour of East Asia. Bookmark the permalink.